GIVEAWAY DAY 3!!!! To celebrate the launch of our new forums we will be having 100 DAYS OF GIVEAWAYS! 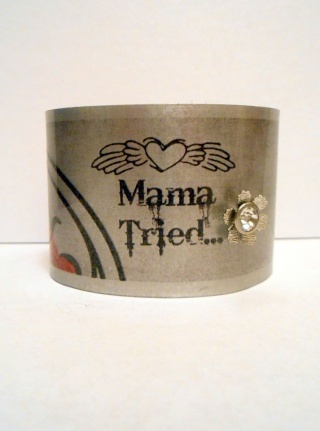 In addition, we have a gorgeous cuff bracelet donated by a brand new sponsor to our Girls of Fire Giveaways...Kiki's Southern Country Cuffs and Stuff! She has some very cool designs and you are going to want to check her out! Please help me to show our appreciation to her by showing her some of our Girls of Fire love! 1. 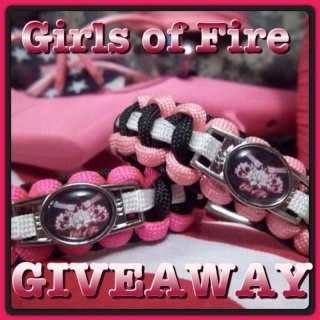 Be a fan of and Share our FaceBook page https://www.facebook.com/GirlsOfFire and be of fan of and Share the FaceBook page of today’s giveaway sponsor https://www.facebook.com/KikiBobikiJewelry . 2. Share the news of our giveaway by posting this link http://girlsoffireusa.forumotion.com/t85-giveaway-day-3#229 in the status on your FaceBook page. 3. You must leave a comment on this thread. Liked, shared and Love this cuff!!! Love Kiki's cuffs!! I am definitely in for this!